Companies must ensure that data is adequately protected to prevent loss or theft. Where a breach has taken place, companies may need to notify individuals as well as face negative impact on the company’s brand and customer loyalty. Under the General Data Protection Regulation, companies may face fines of up to €20 million or 4% of annual turnover. Ensure software is updated and patched regularly to avoid weak spots for hackers to exploit. Carry out vulnerability assessments to review and address any changes or new risks in data protection. Consider all aspects, such as data storage and remote access for employees, and ensure that policies and procedures are adequate. Personal data should at least be encrypted, including on work laptops issued to staff. Instead of using backup tapes that can be lost or stolen, data can be backed up to remote services using the Internet. Train staff to follow best practices, be aware of the importance of data security and how to avoid mistakes that could lead to breaches. Awareness of sensitive data and security should be a part of the company’s culture. 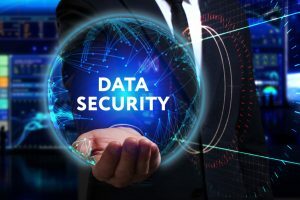 When working with other companies that may be handling your customers’ data, make sure they also have adequate systems in place to protect data. Having a third party carry out a risk evaluation allows an objective and outside view of the current breach risks. A Data Security expert can advise on the best solutions specific to each company to reduce the risk of breach. This also demonstrates a serious intention to ensure data protection.